In the Assessment Source list, select either Upload a File or No File to Upload (Private to Me). In the Question Type list, select Mixed, and then enter the number of questions. Next, select the standard, question type, correct answer, and number of points for each question. If you have selected rubric criteria type questions, indicate the possible points or ratings for each. 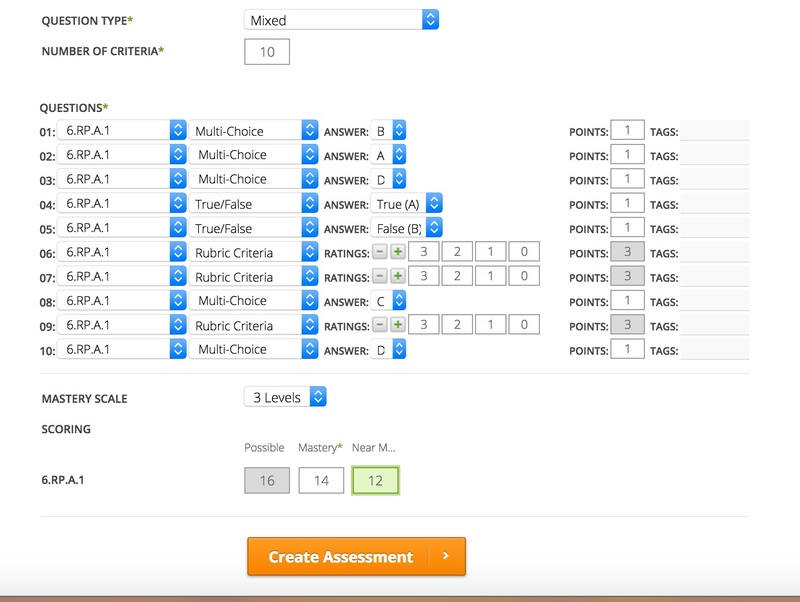 If you have selected bubble sheet rubric scoring, assign points to each answer.